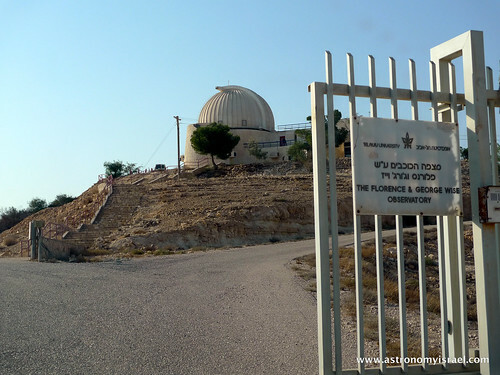 The 40-inch (40") main mirror of the Wise Observatory telescope in Mitzpe Ramon is cleaned about every six months. It is given a new aluminum coating about every two years, depending on conditions. The secondary mirror is cleaned much less often since its face is not directly exposed to the dust and dirt of the desert. Shai washes the surface of the mirror with distilled water as Ezra looks on. Ezra hoses down the mirror with tap water as Yevgeny and Matan look on. Ezra carefully cleans the surface of the mirror with regular dish detergent and a sponge made of surgical cotton wrapped in TexWipe's TechniCloth III. Only the weight of the wet sponge itself is allowed to bear down on the mirror. Shai rinses the mirror with distilled water while Yevgeny and Matan spin it. Ezra purges the surface of the mirror with ethanol, while the team points out areas that need attention. Ezra swipe dries the alcohol from the surface of the mirror. Ezra touches up chips on the mirror edge with black marker to reduce scattered light. A chip in the mirror's edge, blackened with marker to reduce scattered light. The mirror was delivered with this edge chip. It has a negligible effect on performance, but amateurs would never accept a mirror with such a large blemish on their much smaller optics. Of course an amateur mirror only costs a few thousand dollars and a few days to replace. Not so a large observatory mirror. From left: Ezra, Matan, Yevgeny and Shai view their finished work. The clean, 40" mirror is covered while the team takes a break before reversing the procedure to remount the mirror. 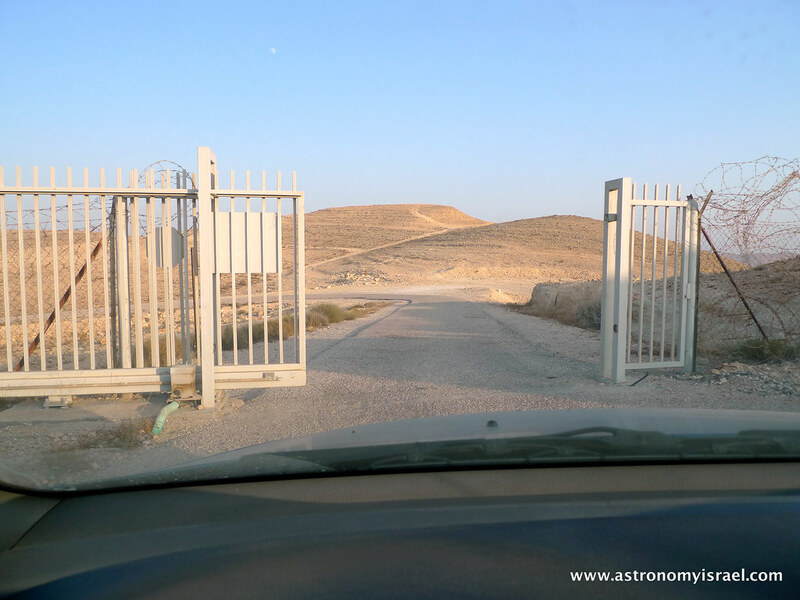 Saying goodbye, a stark desert of dust and rock, waiting to re-coat the mirror, surrounds the observatory on all sides. Goodbye for now to the Wise Observatory. Thank you for allowing me to observe and photograph the cleaning of the 40" mirror. 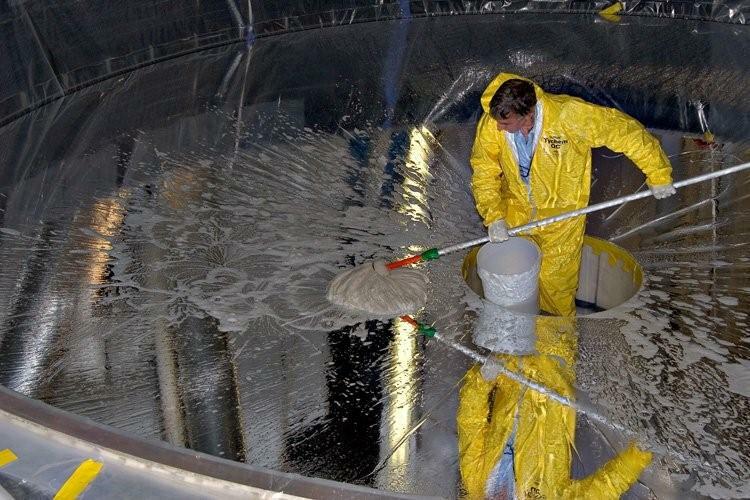 Some folks on the Cloudy Nights astronomy forum wanted to know what it took to clean a really big mirror. This photo was posted in response. Cleaning a REALLY BIG telescope mirror.